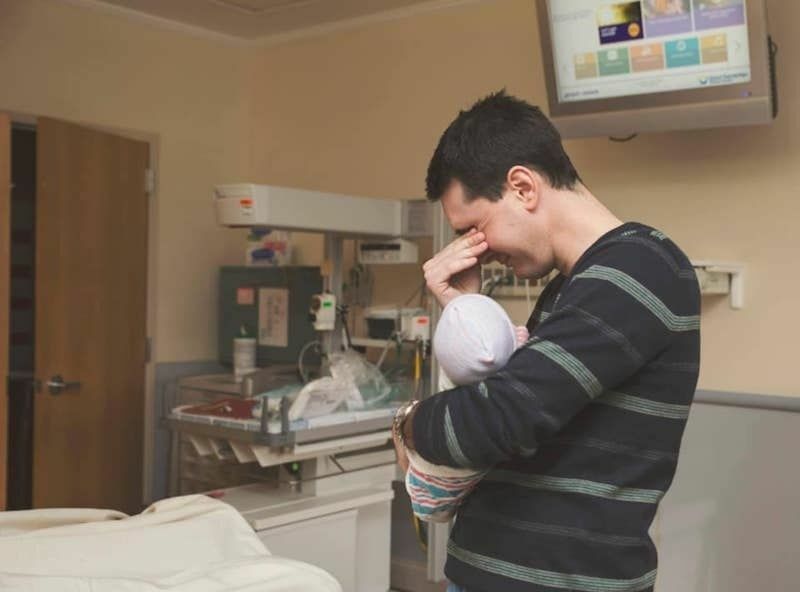 18 emotional photos of partners meeting their baby for the first time ? There's no feeling that compares to the moment you become a mama, but one that feels just as sweet is seeing your partner with your baby for the first time. Regardless of how your baby came into this world or how this tiny human was created, there's just something about seeing the person you love the most with your child. 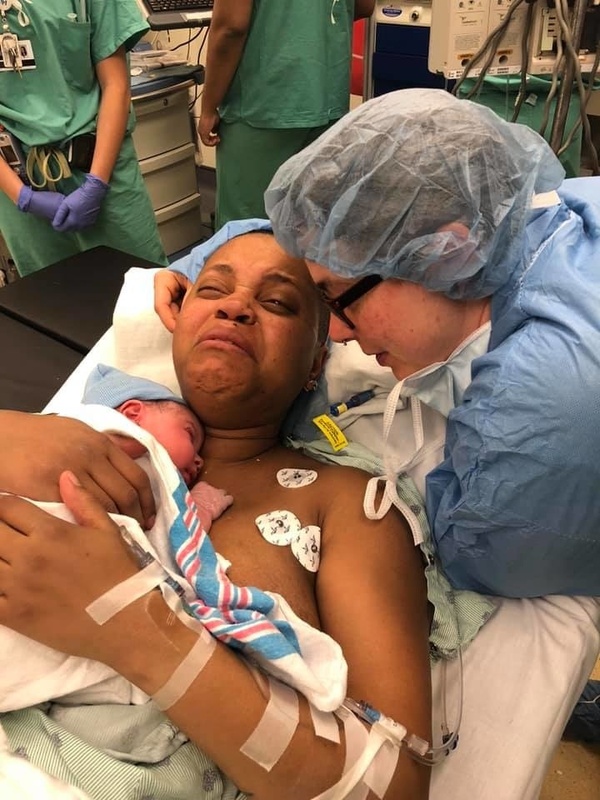 We asked #TeamMotherly to share photos of those precious first moments. With more than 2,500 responses, we couldn't share all of them here so if you're feeling *all of the feels* take a look at the full thread. "After a long battle with infertility, this was the first time my husband held his son."—Jennifer B. 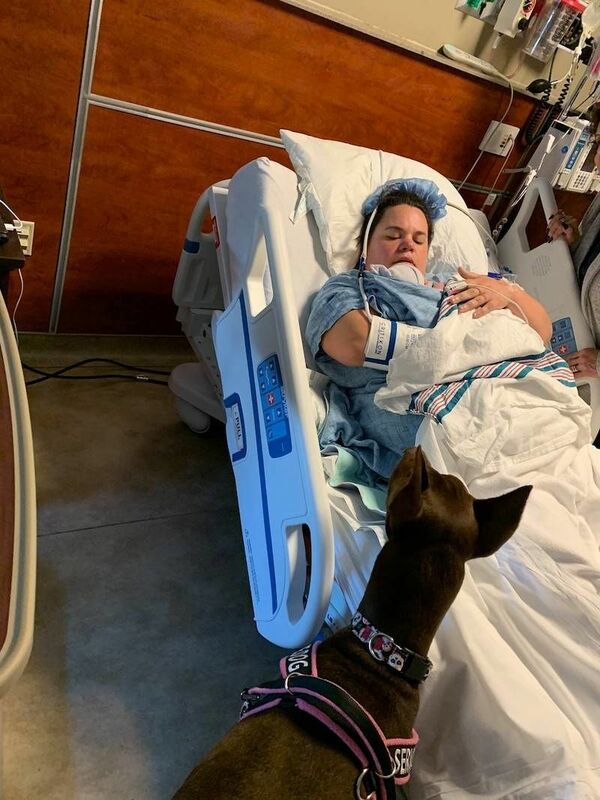 "I'm a single mom, so here's my service dog meeting my newborn. He was there through my labor and delivery. "—Rebecca L. M.
"My wife reassuring me that I'm still alive and that we're okay—40 week appointment preeclampsia diagnosis, and a crash C-section because both baby boy and I were in big trouble. I'll never forget this, truly the best moment of my life so far. ❤️"—Danielle N.R.